Adapting Building for Changing Uses discusses the comprehensive refurbishment of buildings to enable them to be used for purposes different to those originally intended. For those involved in the often risky business of conversion of buildings from one type of use to another, Adapting Building for Changing Uses provides secure guidance on which uses may be best suited to a particular location. This guidance is based on a unique decision tool, the "Use Comparator", which was developed through research carried out at UCL in the mid 1990's. The "Use Comparator" compares the physical and locational characteristics of a building with the characteristics best suited to various types of use. A total of 77 targeted types of use are evaluated, in contrast to the 17 uses normally considers by regulatory planners. 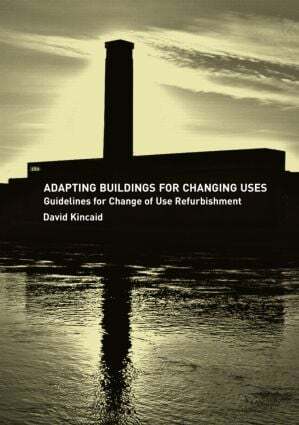 Adapting Building for Changing Uses also identifies the key problems experienced by building managers involved in assembling the coalition of Producers, Investors, Marketeers, Regulators and Users, which makes the key decisions in "Adaptive Reuse". The book explores the differing perceptions and attitudes of these key decision agents to matters such as cost, value, risk and robustness, and offers advice on how to avoid the potential for project failure that these differences present.